This is a kaolin clay mask made with mineral-rich Hungarian thermal water, Hungarian mud that's rich in calcium and magnesium, and acerola fruit extract that's high in vitamin C. With a soft but refreshing peppermint fragrance and a slightly tingly sensation, the mask has a viscous, silty texture that spreads nicely across the skin. It sets after ten or so minutes but it doesn't completely dry or harden unless you leave it on for a very long time. The mask does a good job at drawing out impurities and excess sebum from the skin but it's not at all drying. In fact, I'd recommend this mask even if you have very dry skin because the formulation is gentle and nourishing thanks to the glycerin and cetearyl alcohol. Overall, if you love the cleansing effect of a clay mask but can't stand its drying effect, definitely give this one a go. 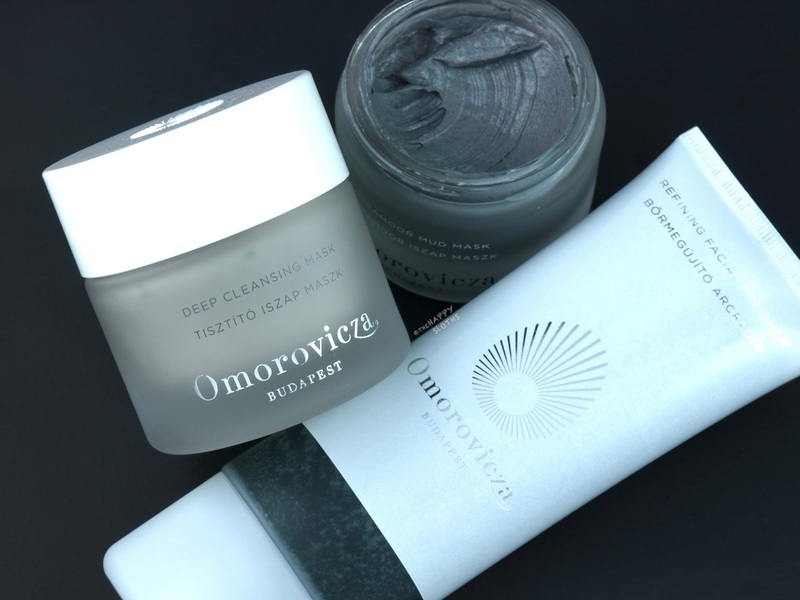 Not too dissimilar to the Deep Cleansing Mask, the Ultramoor Mud Mask is made with kaolin and Hungarian mud. 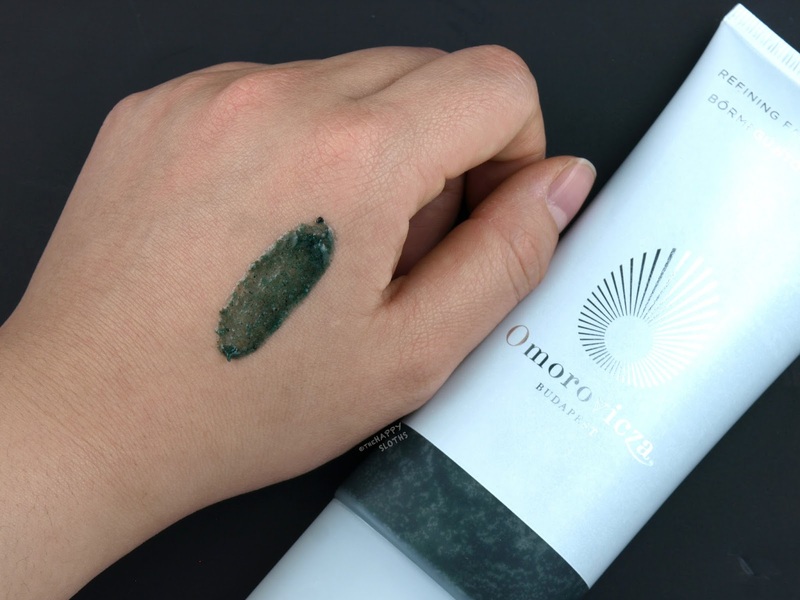 However, in addition to the mineral-rich base, the Ultramoor Mud Mask is packed with yeast ferment extract, marine exopolysaccharides, and essential oils of sage, geranium, chamomile, rosemary, rose, and camphor. The mask has a unique metallic appearance and its scent is very potent and sharp. If you aren't a fan of strong medicinal smells, the scent of this mask might throw you off. 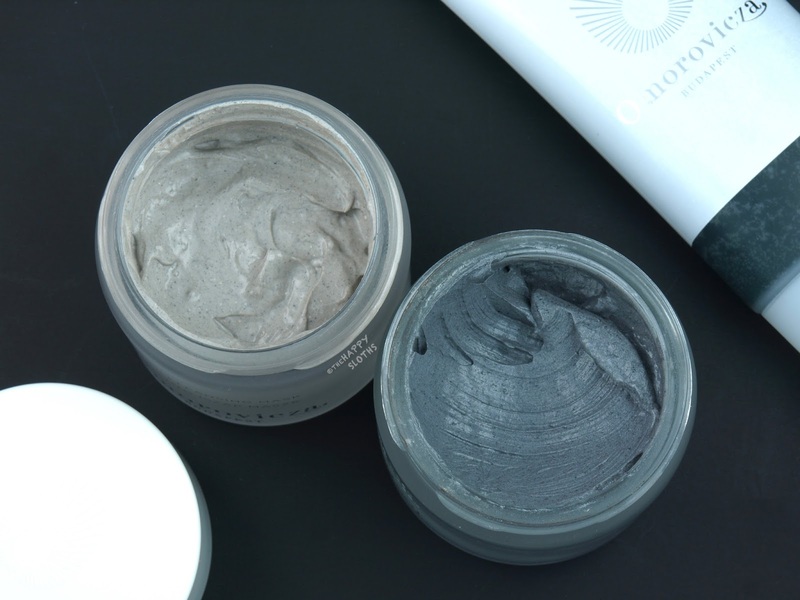 With a slightly thicker and grittier texture, the Ultramoor Mud Mask doesn't set or dry much, even if you do leave it on the skin for an extended time. I find that my skin feels super soft and cleansed after use and the mask has a smoothing and brightening effect. As compared to the Deep Cleansing Mask, this one honestly isn't too different aside from its sparkly, metallic appearance and the sharp herbal fragrance. Omorovicza describes this as a firming, anti-aging mask that reduces the appearance of fine lines but because I don't have a lot of noticeable wrinkles, I can't quite speak on that promise. With that said, this is a gentle deep-cleansing mud mask that will definitely leave the skin feeling refreshed and smooth. With a stunning jade green appearance, this is a Hungarian mud-based face scrub made with lava powder, microalgae extract, tropical fruit extracts, and lactobionic acid. The scrub has a very exfoliative but gentle texture and it sort of doubles as a cleanser. As you lightly massage the Polisher onto the skin, it takes on a richer, creamy texture that buffs and cleanses at the same time. The product has a lovely and natural fragrance and the smooth and polished feeling it leaves behind is super satisfying. My skin felt baby soft after use and I didn't experience any tightness or dryness. I've tried a lot of face scrubs before but this definitely ranks in the top spots!